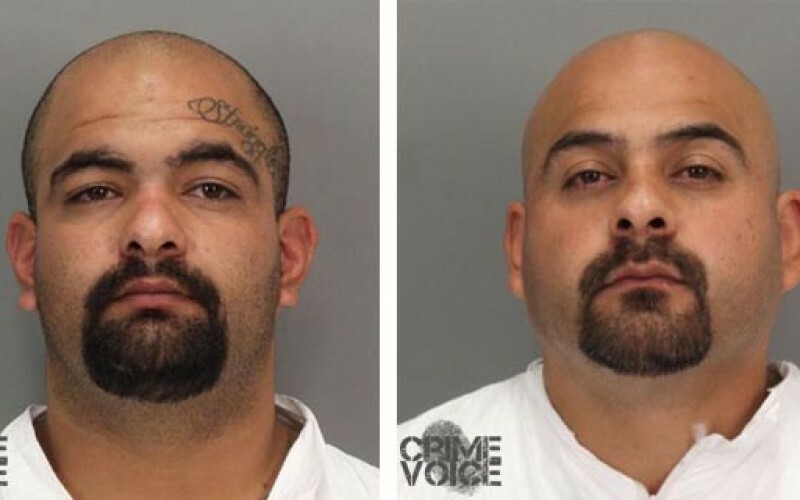 SANTA CLARA, Calif – According to the Santa Clara District Attorney’s Office, “two Tulare County brothers were arraigned on felony assault charges [yesterday] for an unprovoked attack on two men in a restroom during a recent San Francisco 49ers home game”. 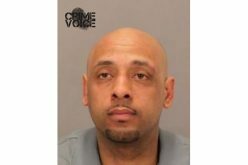 On Sunday, October 5, at about 1:20 p.m. officers were notified by a stadium employee of the assault inside a men’s restroom located on the 300-level on the north side of the Levi’s Stadium in Santa Clara. Evidence, including a smart phone video taken by a witness, shows that the brothers physically assaulted the two victims, punching them numerous times. 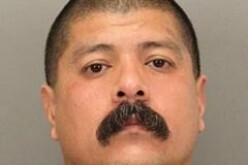 Lieutenant Kurt Clarke with the Santa Clara Police Department said, “Officers learned Dario Rebollero and Amador Rebollero were inside the men’s room and physically assaulted two victims”. Witnesses told police that the attack began when one of the victims touched the shoulder of Amador Rebollero – also known as Jose Ramos. He became verbally aggressive and began to physically fight with the man. According to Santa Clara County Deputy District Attorney Deborah Hernandez, “Ramos ‘sucker-punched’ the victim, striking him several times in the head, knocking him unconscious, and causing a serious brain injury”. During the attack the cousin of the victim came to aid his relative, but then was also attacked by both defendants. Still shots from You Tube video – Amador punches the first victim, both men attack the second victim, the first victim lies injured on the floor. 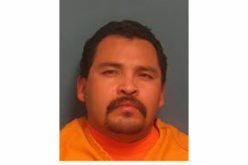 The assault by Jose Ramos – 27, and 34-year-old Dario Rebollero, both of Traver, a small town in Tulare County, left one man injured, and his cousin hospitalized in critical condition after surgery. The motive of the attack appears to be that the now possibly-paralyzed victim was in line at the men’s room behind Ramos and “nudged” him on the shoulder to point out an available urinal. 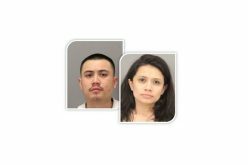 After the assault, both defendants – who have Norteno gang tattoos – fled from the bathroom, but were quickly located and arrested by officers. 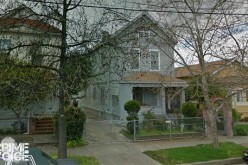 Clarke said, “The two victims of the fight were transported to a local hospital for their injuries”. One victim was treated for injuries, while the second victim required emergency brain surgery, and has been unable to speak with investigators about the attack. 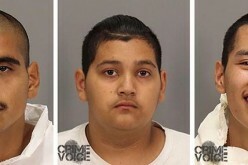 Ramos is being held in custody on $350,000 bail. Rebollero’s bail was set at $75,000. Rebollero faces up to 8 years in state prison, if convicted. Ramos could be sentenced to 11 years. The next court date is October 30 for a plea.